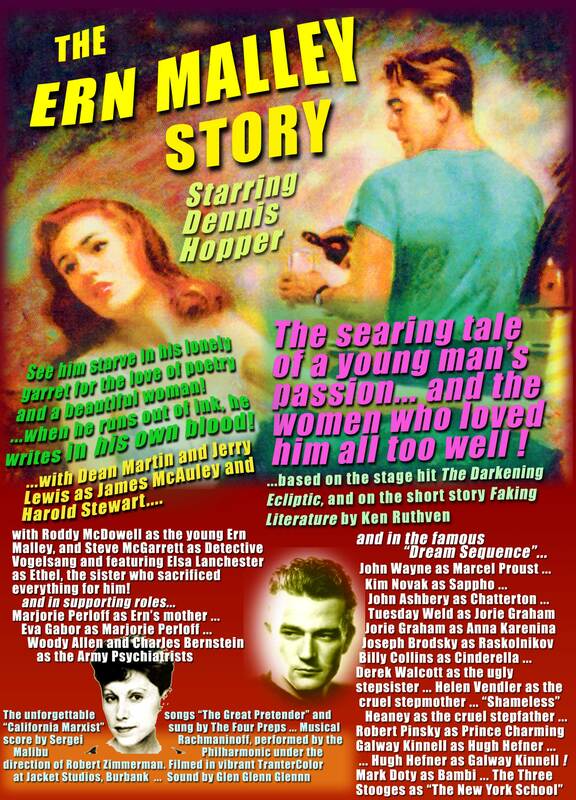 The Ern Malley Story movie poster: this is the full 300 ppi version, suitable for color printing and framing. Right click on the image and choose ‘Save-As’, or ‘Save-Image-As’ and save it to your hard drive. The image is about 1 megabyte, and takes about five minutes to download at 28.8 Kb/s. Its filename is movie-300.jpg and your printer will need to be instructed to fit the image to the paper size to print it on one sheet.